WOODBURY, N.J. (WPVI) -- Parents of the man accused of the beating death of a woman who was house sitting at a Woodbury, New Jersey home back in September have been charged for allegedly cleaning and then hiding a key piece of evidence. Police said David Wilson, 52, and Kim Ward, 50, both of Paulsboro, New Jersey, cleaned and concealed their son's sneakers that were evidence in the homicide investigation against him. Their son, Brandon Wilson, 19, was charged in November with the murder of Shawneeq Carter. Police said Wilson murdered Carter in a Hopkins Street residence where she had been house-sitting for a friend. Her body was found on September 23. 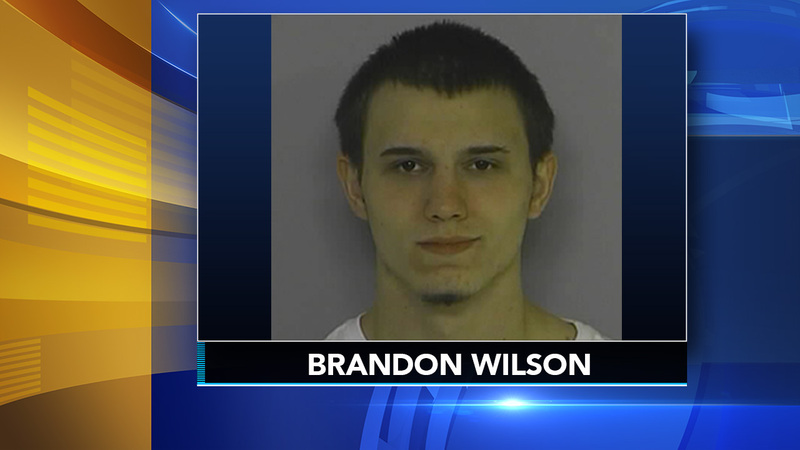 Investigators said Brandon Wilson called his parents from the Cape May County Jail after a shoe imprint was discovered at the scene of the homicide and asked them to dispose of two pairs of his sneakers from his room in their house. Investigators said they executed a search warrant at the couple's home the same day and found the sneakers in an attic. The sneakers "appeared to have been cleaned with some type of solution," the probable cause statement recounts. Wilson and Ward were served with complaints Monday by the Gloucester County Prosecutor's Office. The pair was released after processing. No word on a future court date at this time.